Shopping for Final Fantasy Statues? Fans of the Final Fantasy series can now enjoy their favorite characters in miniature form! This World of Final Fantasy Cactuar Conductor Static Arts Mini Statue features the gabby cactus as an adorable miniature figure. Designers have ensured that every accessory stands out and the character's unique personality comes alive. 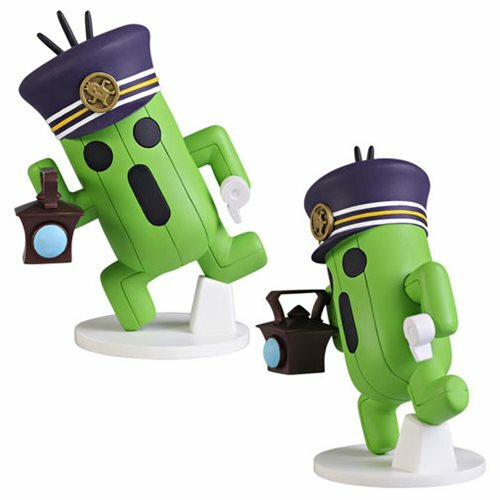 This World of Final Fantasy Cactuar Conductor Static Arts Mini Statue measures about 4-inches tall and comes with a display base. Ages 15 and up.